THERE IS A TECHNIQUE FOR OPENING A BUSINESS SUCCESSFULLY. Yes, you might be one of those owners who are in the right place at the right time and succeeds in spite of himself, but that is like winning the lottery and few people win. My contention is that ‑ If you don’t know it, then don’t do it….Yet. A little time spent training on someone else’s nickel is really a sound idea. See how to market etc. Everyone says owning your own business can be risky and scary. My answer is, “If you are prepared then owning and operating your own business can be the most rewarding thing you will ever do. Yes, there is a percentage of start-up businesses that fail but it is my belief that the business does not fail it is the owner who fails. I agree with what he says in principle, but it really depends on the sophistication of the industry you are thinking of going into. A retail store is easier to understand than a restaurant for example. 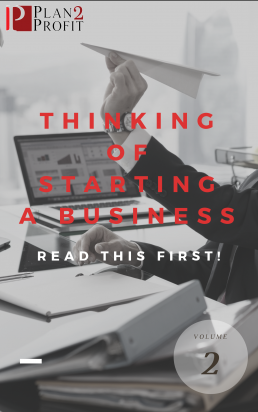 If you go into business and are not ready, you will spend the first while acclimatizing yourself to the business instead of looking at how you can be more profitable and serve your customers better. If you have time to learn the business, do so in someone else’s store and not yours. And then, when you do open your business, hire people who can truly help you. Hire people who you can potentially learn from.